Asian Lady Beetles, most commonly referred to as “ladybugs”, while considered to be beautiful among many have the potential to become a nuisance. This is especially true if they find their way into a structure. The first reports of these infestations started in the early part of the 1990s and continue today. In most instances, ladybugs are considered to be highly beneficial creatures as they typically live in the outdoor region and feed on pests that commonly consume beneficial plants. In fact, a large number of cultures throughout the world cherish these insects and even consider them to be creatures that have the potential to bring good luck. In this quick and informative guide, you will learn many facts pertaining to Asian Lady Beetles. Many Asian Lady Beetles will fly into a structure, such as a home, during the autumn months in order to find a warm place to live. Once the pest has found its way indoors, they are known to crawl on all surfaces within the structure. While most only enter a home with a small group of other Asian Lady Beetles, in some cases, the infestation may be exceptionally large. Before the creatures die, they will emit a highly intolerable odor and will often emit a yellowish fluid from the body that has the capability of staining the surfaces that it comes in contact with. For many, an infestation of Asian Lady Beetles does not feel like a stroke of luck. In fact, many describe it as a complete nightmare. Asian Lady Beetles are considered to be new to the United States. These creatures originated in Asia and may be found in trees located in areas such as China, Japan, and Russia. These insects typically prey on scale-based insects and aphids. The very first group of the insects was discovered in a field in the State of Louisiana in the year of 1988. 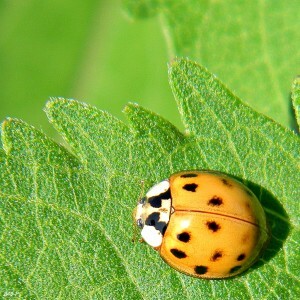 Since that discovery, the Asian Lady Beetles have expanded to most parts of the United States and to Canada. The United States Department of Agriculture made an attempt to use these insects in order to effectively control agricultural-based pests. Many were released in several states; however, researchers do not believe that their original infestation occurred as a result of those releases. Instead, it is believed that a freighter that came from Japan accidentally transported the creatures and that they were released through freight in New Orleans. While Asian Lady Beetles are not known to harm people or animals, they are considered to be quite a nuisance, according to many. When the insects move indoors, it could negatively impact the overall hygiene of the structure and contaminant many surfaces. By sealing entry points, using insecticides, and vacuuming up infestations, you may eliminate the insects; however, this may prove to be a challenging task. For the best results, it is considered appropriate to turn to the assistance of a professional pest control company. If you would like more information on Asian Lady Beetles or would like to set up professional pest control for the insects, contact All Pest Exterminating Inc. today at 888-802-5777.